Although I support and encourage lifelong, committed marriage, we cannot ignore the prevalence and reality of second marriages. There are more complexities in second marriages, especially if children are involved. People are older and may have firmly fixed habits, but what are things people can do to ensure greater success in a second marriage? I recently spoke with Dr. Bill Commins, who had many suggestions. Take responsibility for your part of the problem in the first marriage. Look at yourself. What have you learned? Can you recognize a healthy relationship? Ask 3 key questions: (a) What do I want to be like as a wife / husband? (b) What do I want and expect in the role of husband / wife? (c) What don’t I want and why? Have you assessed the good and bad aspects of your marriage in realistic ways? Widows and widowers might tend to accentuate all that was good within their previous marriage, while divorcees might err in focusing on everything that went wrong. It is vital to be honest and explicit with all issues with your new partner. Partners should be equally invested in being loyal to the new partner. Women generally respond to appreciation – they want to be appreciated by their spouse and family, while men like to be admired. Some people forget to recognize this and if they do not appreciate or admire, or feel vulnerable expressing appreciation or admiration, then it could cause “withdrawal” in the relationship. (I’ve talked about withdrawal on my internet radio program a few times, most recently in the “Roommates” episode). Men can live more easily in a withdrawal state, but women are less likely to tolerate a relationship that feels distant and non-communicative. (My suggestion is that couples should be aware of creating a climate of greater intimacy and avoid the withdrawal state). “As you enter a second marriage, do not look at it as a second chance. Instead, view it as something brand new. It’s a new mystery of a relationship and a chance to do something new and to do it well.” - Dr. Bill Commins. Psychologist Dr. Bill Commins has been in practice for over 25 years and has had extensive experience with clients in second marriages. He was my guest on “Your Marriage Matters” on 3/28/11. http://www.blogtalkradio.com/marriagecoachlynn/2011/03/28/the-second-time-around-second-marriages. Meet Judy Pearson and John Rodgaard. Judy Pearson and John Rodgaard are in their second marriage of seven years. Judy was first married 23 years and John 30. John has two adult children and two grandchildren. Judy is child-free. 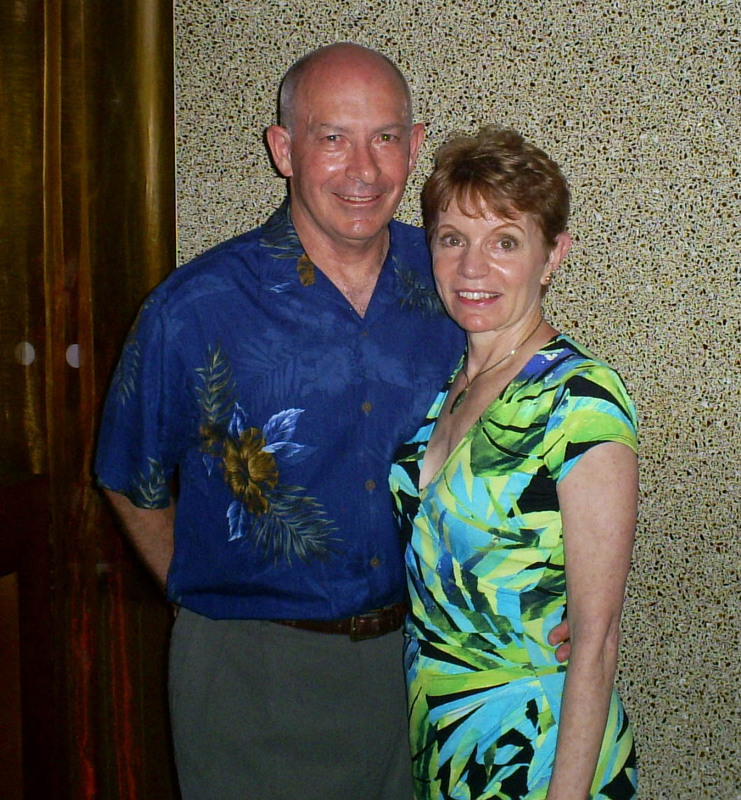 Here's what Judy says: “John and I were friends for 30 years before we married. Nevertheless, we took things slowly and dated three years before marrying. We are best friends as well as spouses. Finances is one challenge we've successfully worked through as a second-marriage couple. Dr. Judy Pearson joined me on “Your Marriage Matters” radio program on two separate occasions. Please refer to the following links if you missed the show on “Fighting Fair: Tips for Resolving Conflict” (1/25/11) http://www.blogtalkradio.com/marriagecoachlynn/2011/01/25/fighting-fair-tips-for-couples-on-resolving-confli and “How to Become a Better Listener in Marriage.” (3/15/11). http://www.blogtalkradio.com/marriagecoachlynn/2011/03/15/are-you-listening-how-to-become-a-better-listener-in-marriage. National Public Radio Host Diane Rehm and her husband John wrote a book / audio titled “Toward Commitment: A Dialogue About Marriage” (2002). I listened to the audio version over the course of 2 weeks. I enjoyed the Rehm's honesty and ability to articulate their thoughts and feelings about most topics related to marriage. What struck me as beautiful is that Diane held firm to her commitment to marriage even though she went through long periods of unhappiness, loneliness and disappointment. Most couples bail out and get divorced after a few months or years of disillusion, but Diane was smart enough and patient enough to work through the difficulties and in the end, John and Diane cultivated something beautiful - a lifelong happy marriage. I believe they recently celebrated their 50th anniversary. Congratulations for the fine example! Most people are on a pursuit of happiness and do not allow their relationship to blossom and mature. Another resource I recommend for those who have children and are contemplating divorce is Between Two Worlds: The Inner Lives of Children of Divorce (2005) by Elizabeth Marquardt. The author was a child of divorce and openly shares the pain and struggle children go through as they try to cope with the divorce of their parents. Coming Soon: My e-book “Reenergize Your Marriage in 21 Days” will be available during the next month for FREE to those who sign up for this monthly newsletter. I am also asking Facebook users to sign up on my Facebook Page MARRIAGE COACH LYNN to get up-to-date information. Offers for free copies will be available for 30 days after the release date, so please tell others about this newsletter and my Facebook page. Otherwise, copies are available for $9.95 at www.smashwords.com and www.marriagecoachlynn.com. To ensure you receive our montly newsletter, make sure you add noreply@marriagecoachlynn.com to your address book. If you prefer not to receive future email from MarriageCoachLynn.com, please unsubscribe here.